LONDON: A statue of Mohamed Salah has been unveiled in Egypt. No problem there, considering he has become one of the best footballers on the planet. But considering the likeness has been ridiculed perhaps on second thoughts the statue is not a good idea. 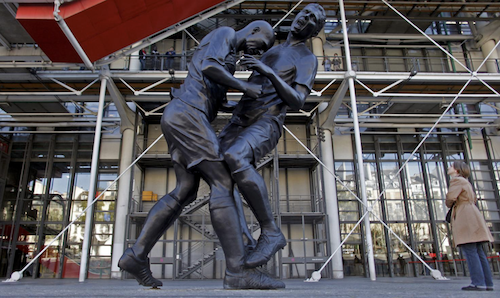 Here we look at other sporting statue shockers. 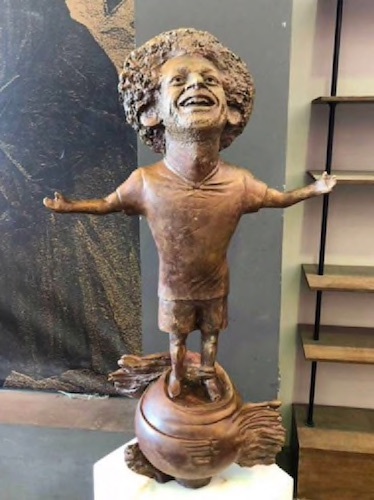 MOHAMED SALAH — We are not experts when it comes to art, but we are pretty sure that when it come to statues likeness is fairly key. Unfortunately this offering looks more like 1970s British crooner Leo Sayer or Marv Merchants, one of the baddies in Home Alone, than the Liverpool and Egypt ace. 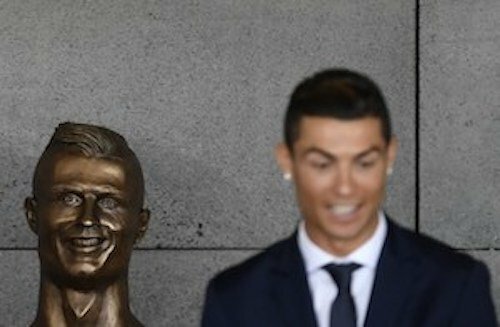 CRISTIANO RONALDO — The bust of the Portuguese was created in honor of Madeira naming its International airport after him. It looked more like a gargoyle than a likeness of the Juventus star. Considering he has a reputation for vanity, we are pretty sure Ronaldo is not too happy with the almost cartoonish version of himself now greeting the hordes of holidaymakers landing in Madeira. DAVID BECKHAM — There was a silver likeness of the global superstar — wearing just his underpants — erected in New York in 2012. Normally very photogenic, Becks looked more like the T1000 in Terminator 2 — definitely more scary than stylish. 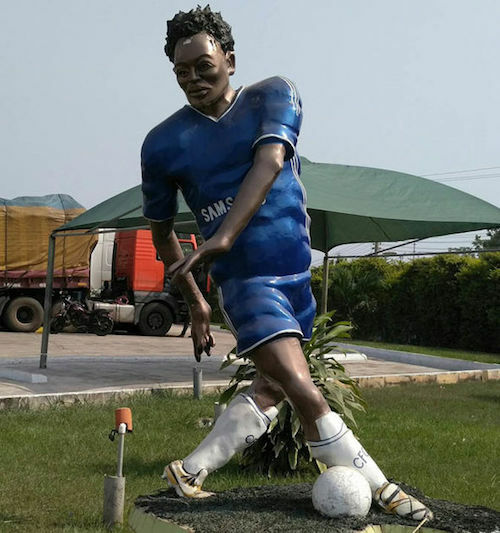 MICHAEL ESSIEN — The Ghanian great has a dodgy looking sculpture of him in Kumasi in his home country. As a player the midfielder was a dominating force — big and brave. What he did not look like was Bambi on ice, which is what this piece makes him out to be.